The unique design of AXOR Starck Organic is organic minimalist. Harmonious lines are reminiscent of shapes from the natural world, and endow the collection with an exciting, powerful and sculptural presence. In the same way as the natural world makes do with only the minimum necessary, Philippe Starck has also concentrated solely on the essential when it comes to the design. Thus, the mixers are stripped of anything unnecessary: the handles visually blend in with the mixer bodies and are ergonomically shaped. They paint a picture of harmony in any position, and they display the currently selected setting. 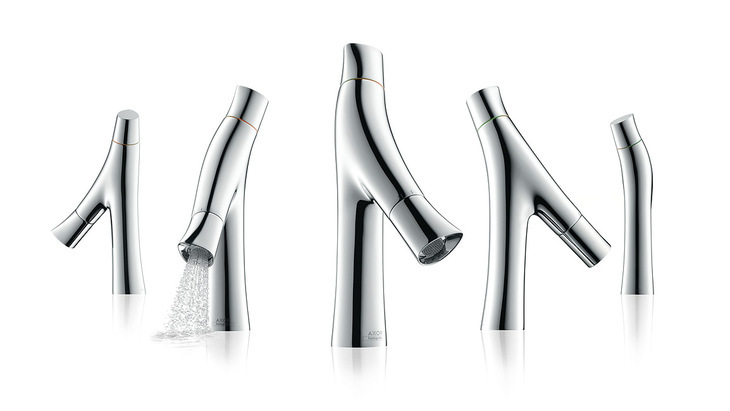 AXOR Starck Organic is extremely versatile. The collection quite naturally blends in harmoniously in different bathroom environments and creates accents. The combination of organically shaped and geometric elements goes really well in a sensual bathroom, it matches excerpts from the natural world, and even looks good as part of a puristic solution. This opens up options for combining with other collections too.